The Sno Shield SS Mini is a UV stabilized polycarbonate mini snow guard. It is works best in light snow load areas with the occasional snow fall. It is used for snow retention on roofs such as: metal, slate, shingles, and shakes. The SS Mini can be attached using three methods: adhesive peel and stick, mechanically fastened with two #10 screws (length varying for application needs), or SureBond-190 or ChemLink DuraSil. 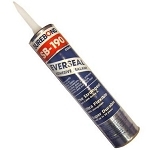 To know how much adhesive to purchase, calculate about 28 SS Minis' per one, 10oz tube of adhesive. Sno Shield's mini snow guards are small pad style snow guards used in light snow load areas. For some roofs where it is difficult to place large snow guards, this tiny snow guard can be applied. Being small, it contains all the same engineering strength that the larger Panel Guard has, but again, it is more flexible for odd jobs. 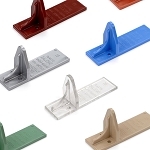 These snow guards can be mechanically mounted, attached with adhesive (SureBond 190) or installed with a peel and stick tape. 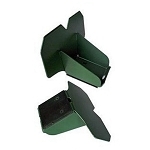 It can be installed on exposed fastened metal roofs, shingle roofs and corrugated roofs. 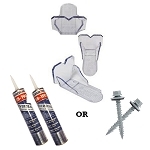 For installation instructions, click on of the following: adhesive, peel and stick, screw down/mechanical (installation is the same as the instructions titled "Panel Guard Installation For Mechanical (Screw Down) Attachment"). Look at the Panel Guard for a heavier duty plastic snow guard. 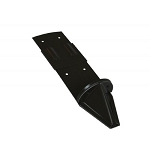 This product is equal to other snow retention products known as: snow stops, snow jacks (snow jax), snow blox, snow shoes, snow cleats, snow brakes, snow fence and snow rail. We received the product in 4 days and are very happy with this product. We have used these before and will continue to install them on roofs. We also appreciate the helpful information we receive about your products. Thanks for making our job easier!! I love this website and their products! 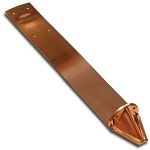 They have great prices and a large selection of some useful and great products like the ice guards. I recommend it to any one! They shipped out fast, and were very easy to put on. Will be ordering more in the future!! Q: Would you please send me the size of the snow guard in demensions ? Q: Dimensions of your SnowGuards? Q: what is the recommended spacing between the snow guard ss mini? 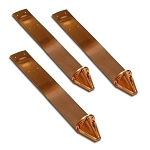 I will be using them on my solar panels on Long Island N.Y. and the snow flys off the panels after melting and refreezing on the panels will these work for this concern? 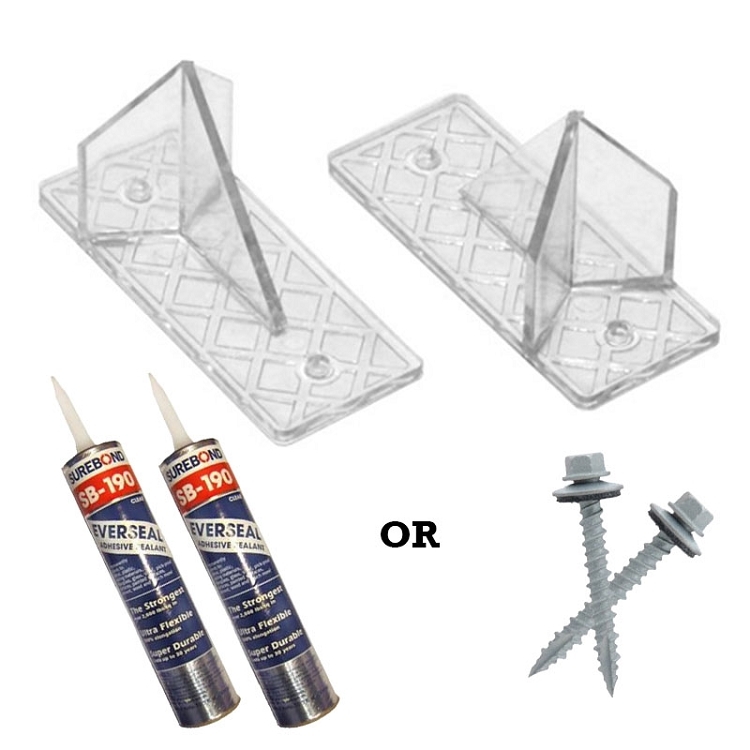 A: Yes these will work for your panels. They are clear made out of a clear polycarbonate plastic that will allow the sun to still penetrate the solar panel. You can do one of two things. Place these mini snow guards 8" apart in the middle of each panel, or you can put a staggered row along the bottom of the panels. Q: what is the dimensions overall of this product???????????? Q: Spacing between snows tops? A: A typical spacing guideline would be one snow guard between every seam. Q: I have a 38' wide house with metal roof 5/12 pitch. Will the ss mini units hold with adresive?. I live in Erie,pa snowbelt..